Black Panther has defied all box office expectations with its opening weekend. With a strong 97% Rotten Tomatoes critics score, and an A+ audience rating from CinemaScore, we all knew that people were really taking to this movie. A week ago, projections had it opening at about $145 million domestically, with that number slowly inching up each day leading into the movie's Thursday night release. Official projections for the weekend said it would bring in $192 million for the three day weekend, with estimates saying it would make a total of $218 million domestically for the four day holiday weekend. However, as I and many others expected, it surpassed those numbers. 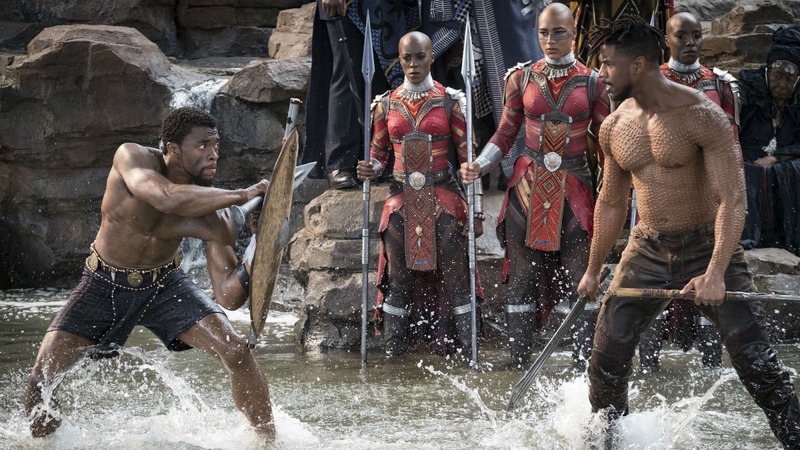 Black Panther finished the three day weekend with $201 million dollars domestically, making $235 million over the four days. Worldwide, the film brought in an additional $169 million dollars, rounding out its total gross so far to $404 million dollars. On our Nerd Round-Up this past Saturday, we talked about how the film was shattering box office records for Thursday and Friday screenings. You can read about those records here. But now, with its $201 million dollar opening, it has become only the fifth film ever in history to crack $200 million dollars domestically in its opening weekend, behind Star Wars Episode VII: The Force Awakens, Star Wars Episode VIII: The Last Jedi, Jurassic World, and The Avengers respectively. I am so thrilled for this movie's success. I liked the movie a lot, and while I personally wouldn't say it's one of the top five Marvel Cinematic Universe movies, I thought it was a great film. You can read our full, spoiler-free review here. This movie defied everyone's expectations with its opening weekend, and I think it will continue to surprise us throughout its full theatrical run. I posted this on my social media, but I'll restate my box office predictions for Black Panther here: I think it will drop only 30% in its second week, taking in $141 million dollars domestically. 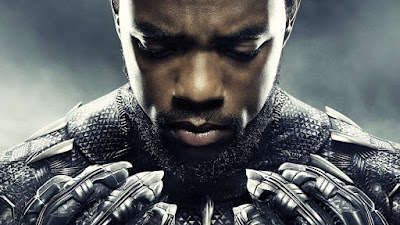 By this time next week, on February 26th, Black Panther will have crossed $1 billion dollars at the worldwide box office. 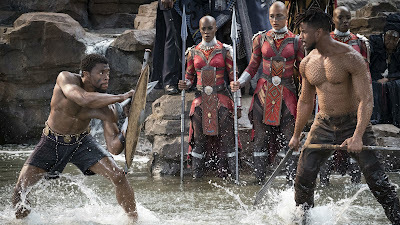 And, after its full theatrical run, Black Panther will have made $2 billion dollars at the worldwide box office, becoming only the fourth movie in history to do so. These are ambitious projections, yes, but consider how ambitious it would have been to say a week ago that Black Panther would make over $200 million domestically in its three day opening weekend. Nobody thought that was possible, and it did it. I recognize my predictions could be 100% wrong, but those are the heights I think this movie could reach. We'll just have to wait and see if it actually hits those numbers. What do you think? Are you surprised by Black Panther's mammoth opening weekend? Could it reach my predicted numbers, or am I being too ambitious? Have you seen the film yet? Leave your thoughts in the comments section below.